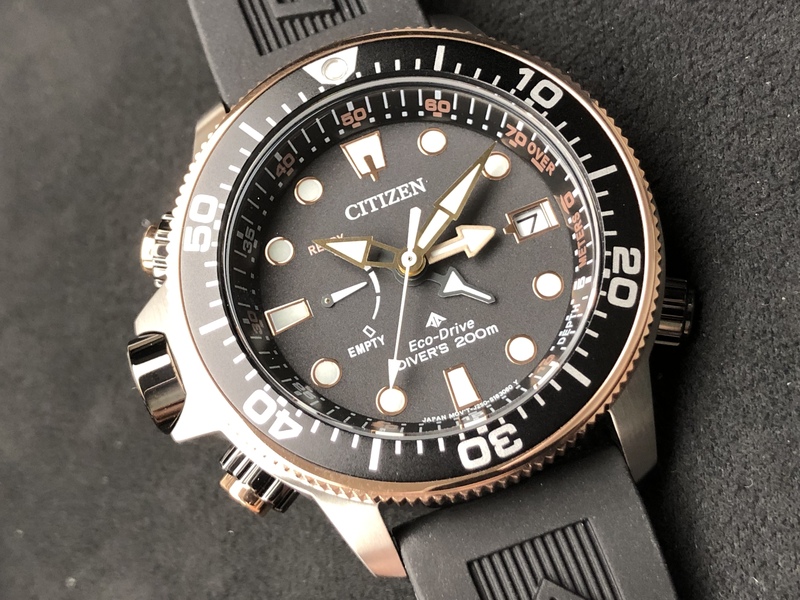 We have admired Citizen and their technical prowess since we visited their facilities in Japan last year and have had extensive hands on with a few of their watches. 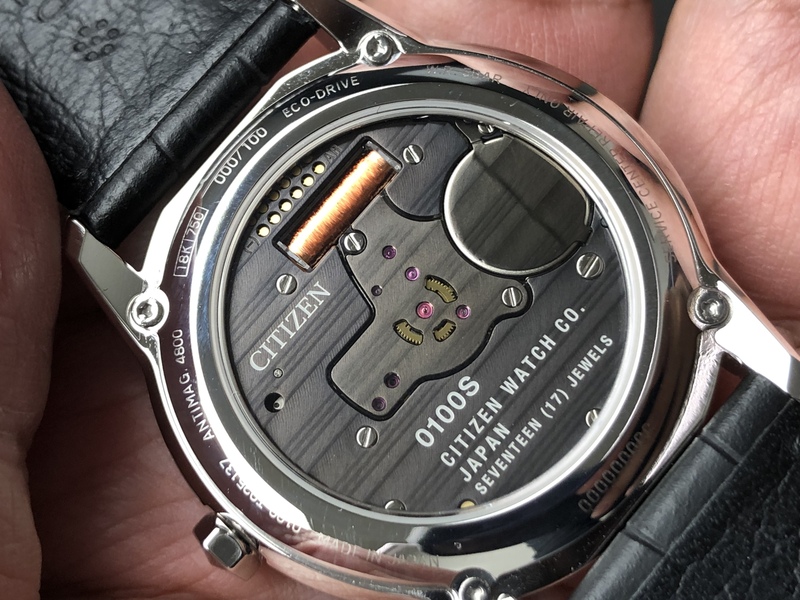 For 2019, the caliber 0100 which was shown as a prototype with a sapphire crystal case in pocket watch format last year makes its commercial appearance as in a series production. 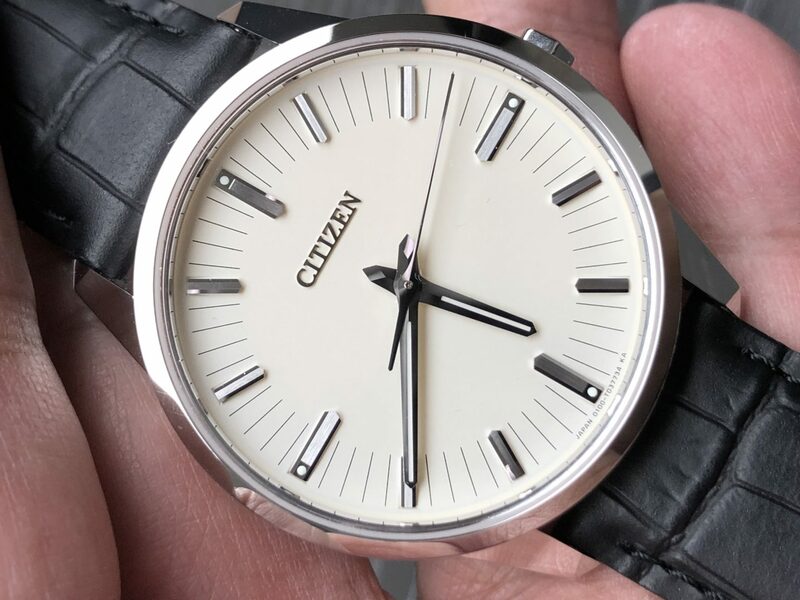 In white gold version at US$16,800 is an LE if 100. Two other versions both in Super Titanium with Duratect alpha are also limited. 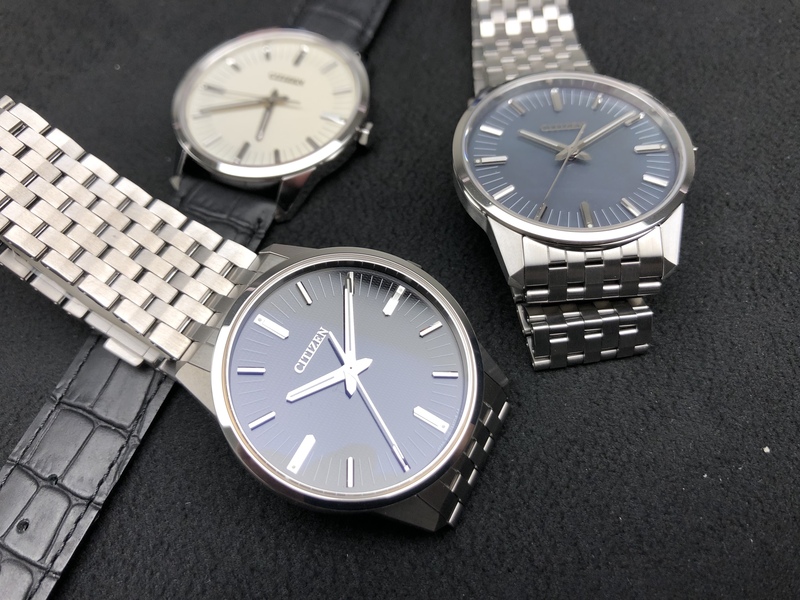 In black dial LE 500 pcs and MOP dial LE 200 pieces. Both priced at US7,400. ProMaster BN2037-11E, stainless steel diver watch rated to 200m with depth gauge. LE 6000 pcs at US$775. A new Satellite Wave GPS CC7015-55E in a super titanium case and band with Duratech coating. Movement is C990. LE of 1989 pcs at US$2,509. 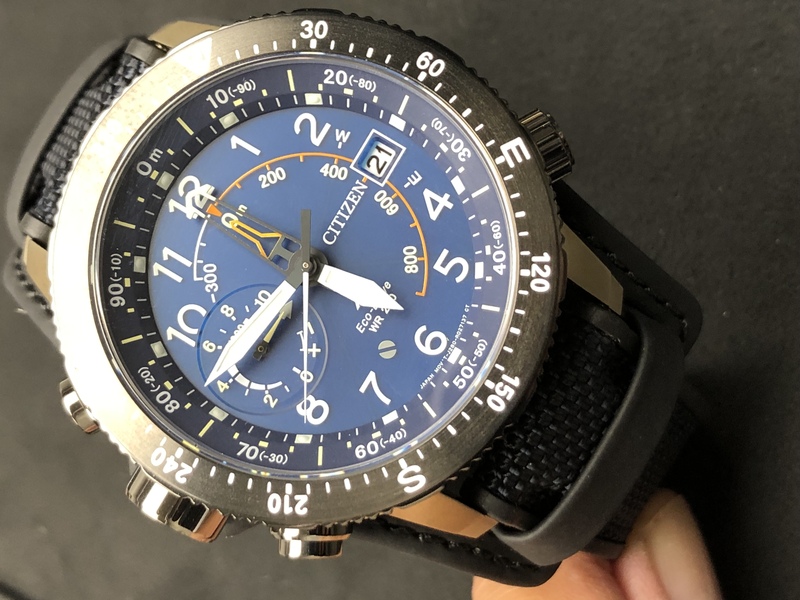 The Altimeter BN4055-19L also in Duratech MRK gold coating over Super Ti case which give it a golden appearance. 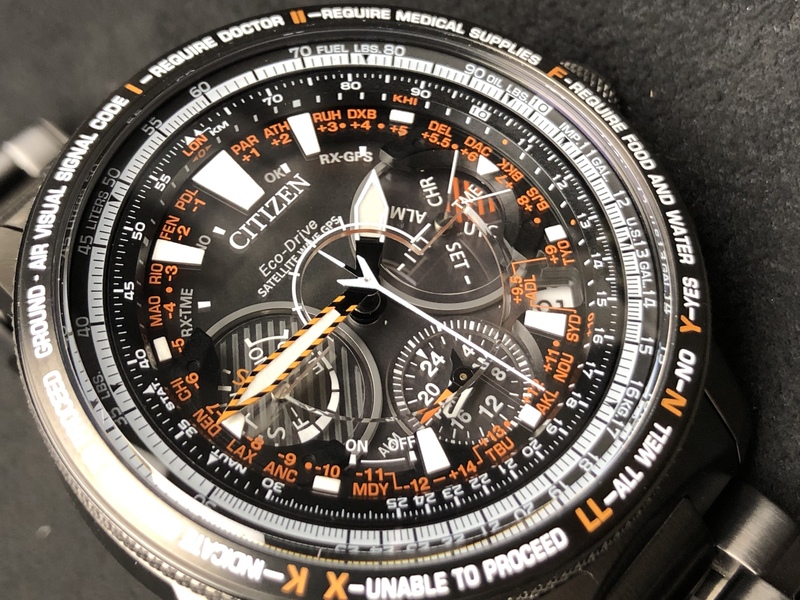 The altimeter measures from +10,000m to -300m with an atmospheric pressure sensor. Also equipped with an electronic compass. LE of 1989 at US$975.